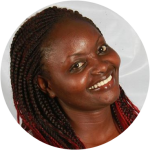 Winnie Kamau is a seasoned journalist and a former reporter for KTN Standard Group. She is now a freelancer writer and media relations consultant. Winnie is also founder and president of the Association of Freelance Journalists in Kenya, which seeks to protect the rights of freelance journalists.